1.The civic centre will be planned to change. There are two maps: one is the existing and the other is the plan for new. 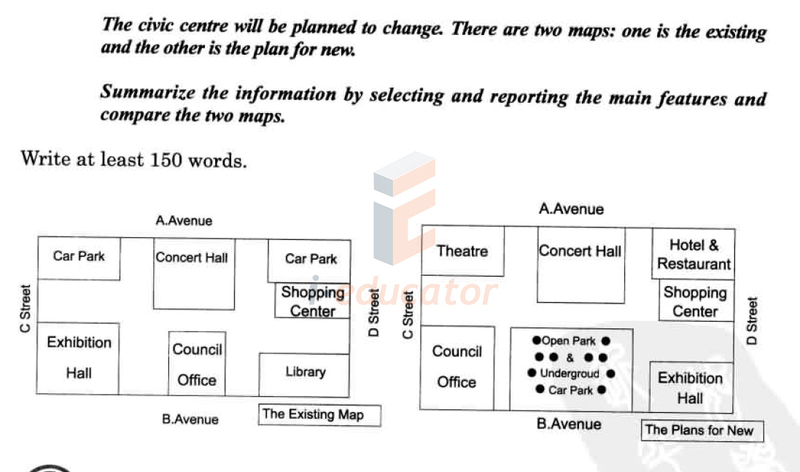 Summarize the information by selecting and reporting the main features and compare the two maps. 2. The diagrams below show the development of the village of Kelsbey between 1780 and 2000. 3. 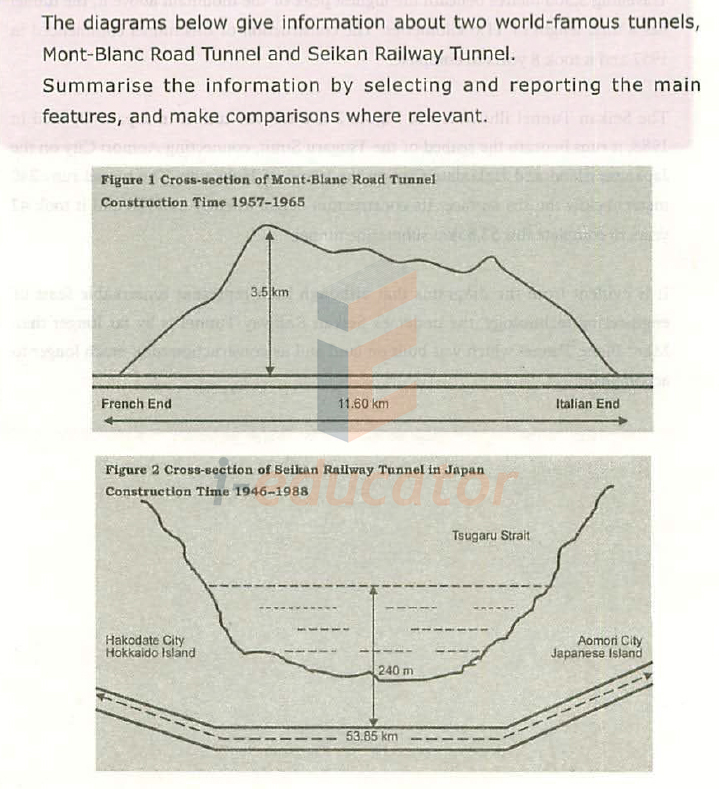 The diagrams below give information about two world-famous tunnels, Mont-Blanc Road Tunnel and Seikan Railway Tunnel. 4. 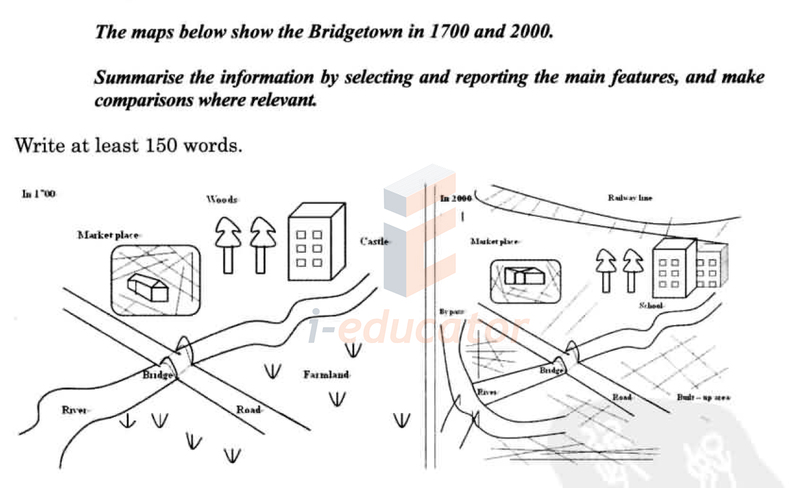 The maps below show the Bridgetown in 1700 and 2000. 5. 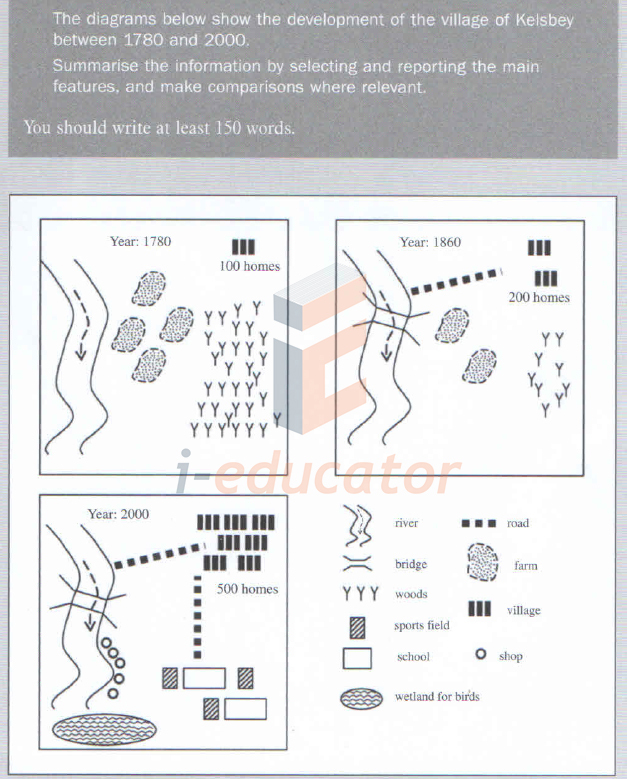 The maps below give information about a school site in 2004 and the planning of the same school in 2010.